*Ssshhh*.... Nickyanka's Wedding Outfits Had These Secret Heart-Melting Messages On Them! Love wins. Everytime. 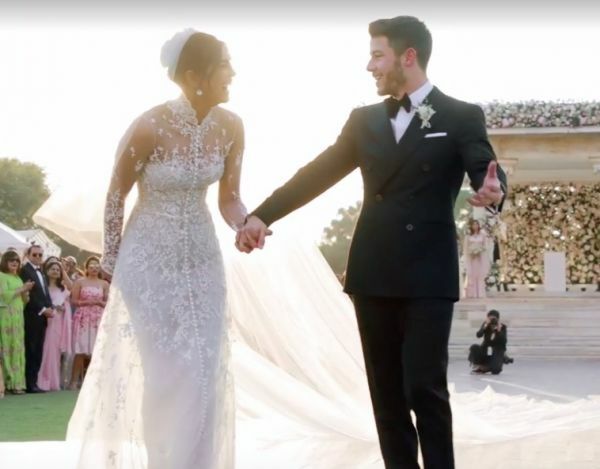 And Priyanka Chopra and Nick Jonas' wedding is just another joyous example of the statement. The couple finally made it official with two weddings as part of the 3-day extravaganza at the Umaid Bhavan Palace in Jodhpur. One, a traditional Hindu wedding and the other, a dreamy Catholic wedding (which, Nick's dad officiated). 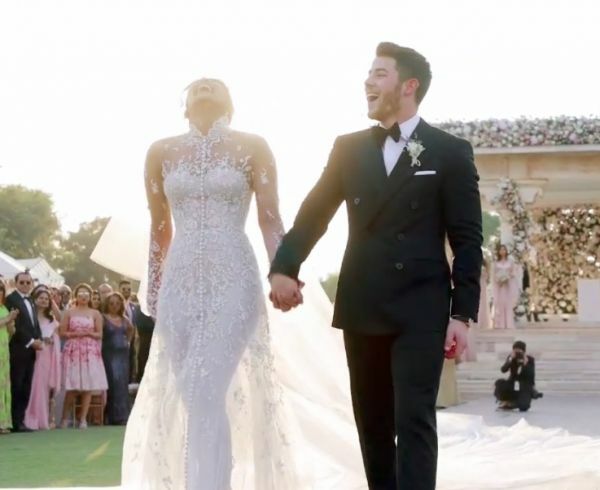 There are too many details about Mr & Mrs Jonas' wedding ensembles that have established #shaadigoals for us. But two, in particular, have brought us to tears. As you know, renowned international designer Ralph Lauren dressed Nickyanka and their families in bespoke pieces. 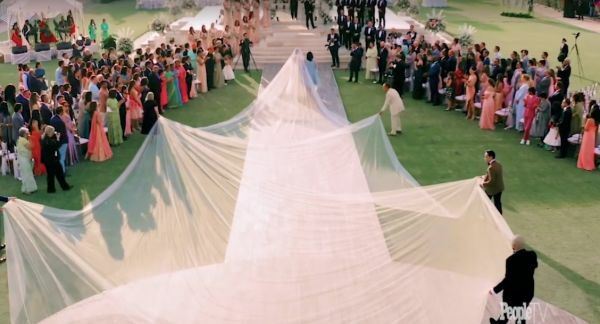 The enchanting dress that PeeCee walked down the aisle in was hand-beaded and embroidered, and came with a breath-taking 75-foot long sheer veil - and that isn't even what we're tearing up over! 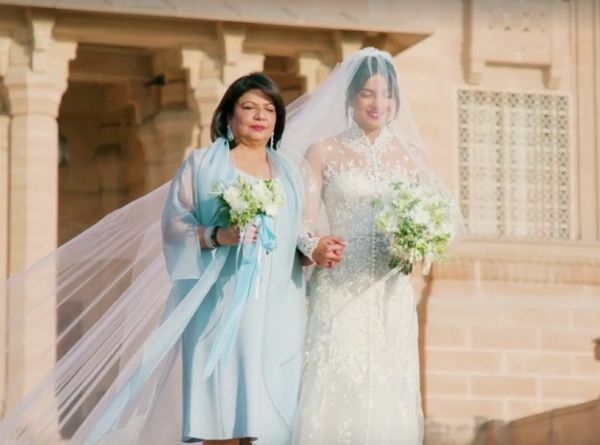 It was Priyanka's beautiful dedication to the love of her life, the wedding of her dreams and her parents. 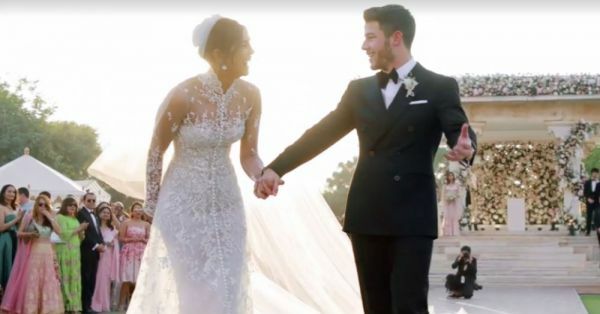 Eight words and phrases accompanied her (chosen by PeeCee herself) while she said 'I do' as part of her exquisite white gown: Nick's full name (Nicholas Jerry Jonas), the words 'Family', 'Hope', and 'Compassion', their wedding date, and the names of her parents, Madhu & Ashok. That isn't it, peeps. Priyanka also gave a shoutout to her adorable mom-in-law by having a piece of Mama Jonas' lace wedding dress sewn into hers. Talk about heart-melting! Moving on, Nicholas' dedication to his new bride might just be sweeter. 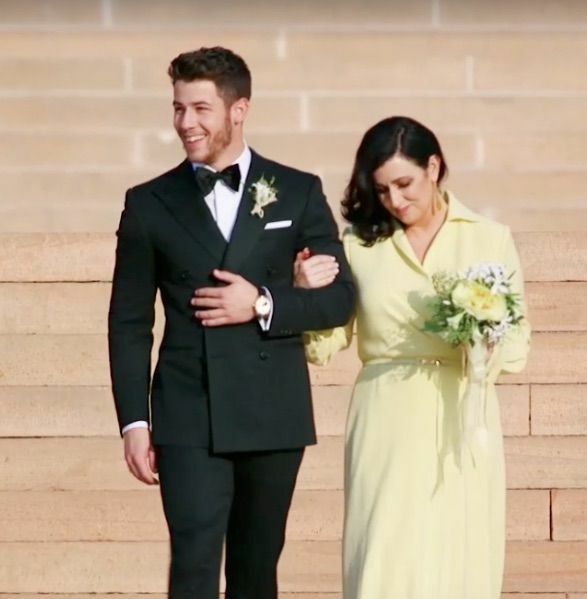 The groom wore a custom black tux and patent lace-up formal shoes by Ralph Lauren Purple Label, which carried the most 'awww' inducing message hidden inside the lapel. A piece of Priyanka's wedding gown lace, embroidered with the words "my jaan" in Urdu, which translates literally into "my life" or "my heart"... PeeCee, you lucky lady. A million hearts might have broken all over the world over these past few days, but we think it's safe to say that ours are warm. In fact, as we said, they're melting. Letting you in on our secret: fashion girls, including us, are happiest when love and clothes come together. And Nickyanka, you've made us the happiest girls in the world. 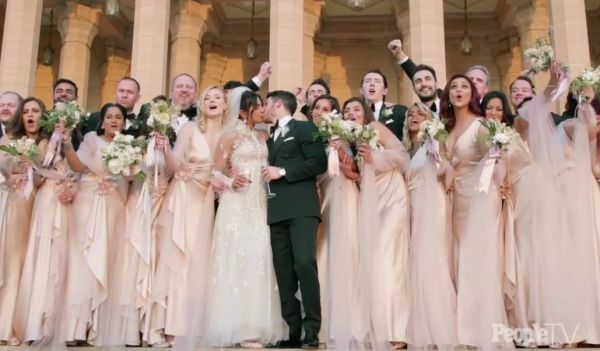 We wish you the 'happily ever after' of a lifetime!